The new season of Glee premiered tonight, and with it, we got to see Lindsay Pearce from Oxygen's The Glee Project. 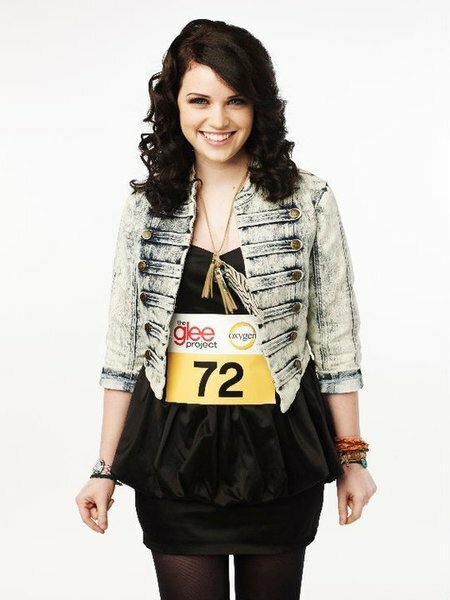 If you recall, Lindsay Pearce didn't take first place, but she still earned a small guest spot on Glee. And, she has a major advantage over the others: she snagged a spot on the season premiere. And let's just say that she absolutely rocked her role. Lindsay played Harmony, a girl representing the college that Rachel and Kurt want to attend. She played a hyperactive girl with acting history. She sang Anything Goes from the musical of the same name mixed with Anything You Can Do, I Can Do Better from Annie Get Your Gun. She was awesome and the musical selection was perfect for her musical theater voice. Lindsay looked thinner than she did on The Glee Project, which made her look less like Lea Michele than she did during the competition. She actually looked a little bit like Reese Witherspoon. I Watch Glee Episodes Online and I will love to see her in this fantastic show.